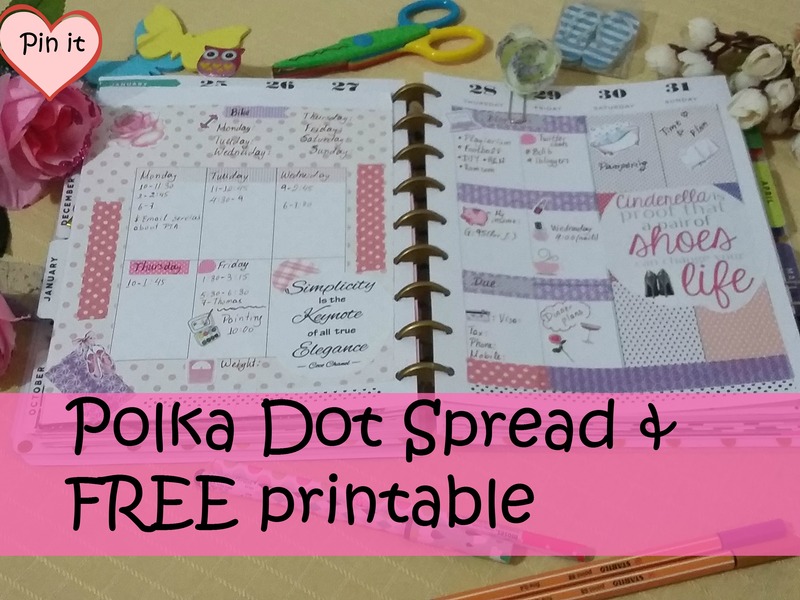 I ❤ polka dots and I wanted to make a polka dot spread, so this week’s spread is just that. 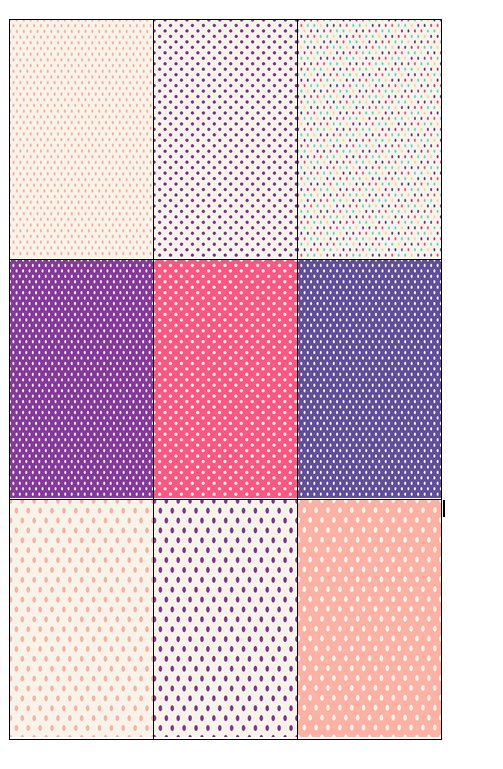 I got digital paper from aestheticaddiction ( I have a coupon code and a printable to share with you later on),I made a few full boxes on sticker paper, and I also printed a polka dot jpeg which I used as the background for half of my week. 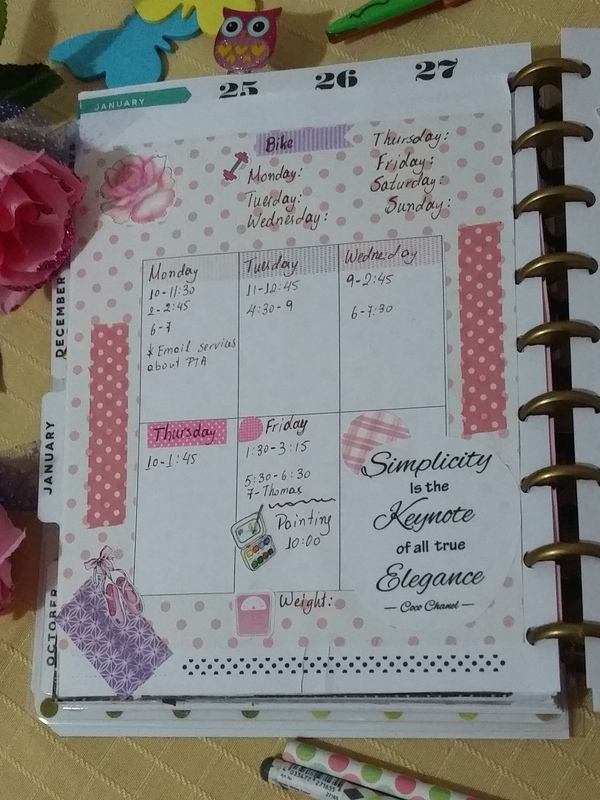 This week I put all my work schedule on one page and my to dos/ to pay, blog post ideas and other little things on the next page. 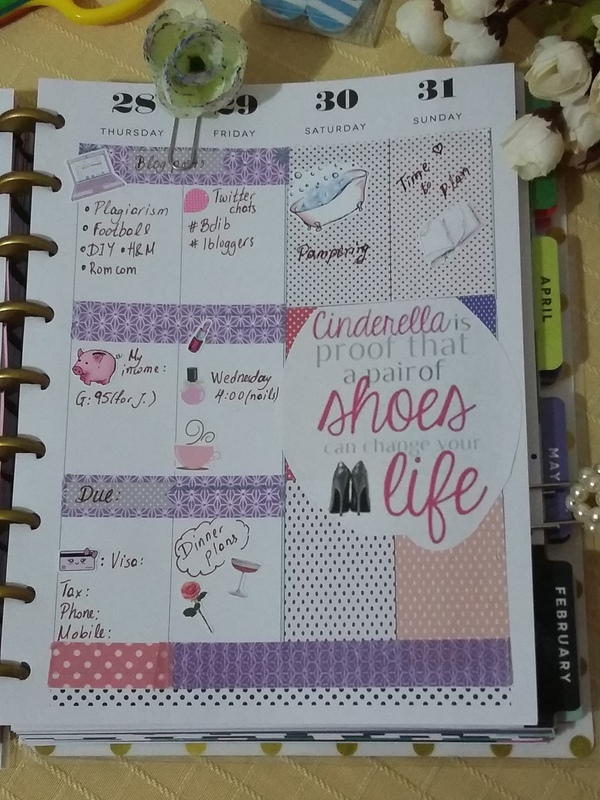 I also found a few quotes and printed them on sticker paper and added them on my spread. ❤ The rose on the left hand corner, the paint box, the lap top, the piggy bank, the open book and the bath tub are from Michelle and Patch. 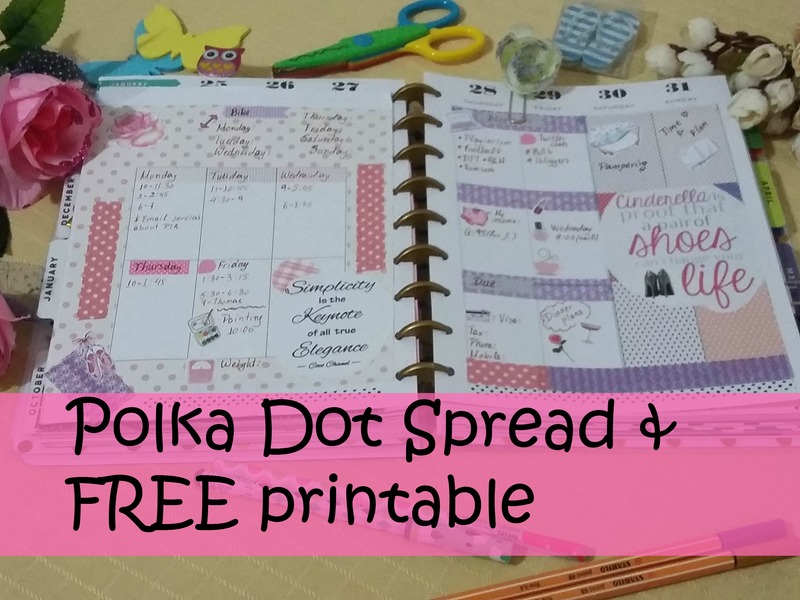 ❤ The nail polish and the coffee mug are from Planner Chick designs. ❤ The rose on the right hand side (with the stalk) and the cocktail glass are from shop Alissa love. ❤ The tabs and tear drops are from Lilly Top stickers. ❤ The scale is from the Sassy Planner. ❤ The visa card, the lip stick, and the weight is from Lemon Paper co.
❤ Aesthetic addiction polka dot digital paper. 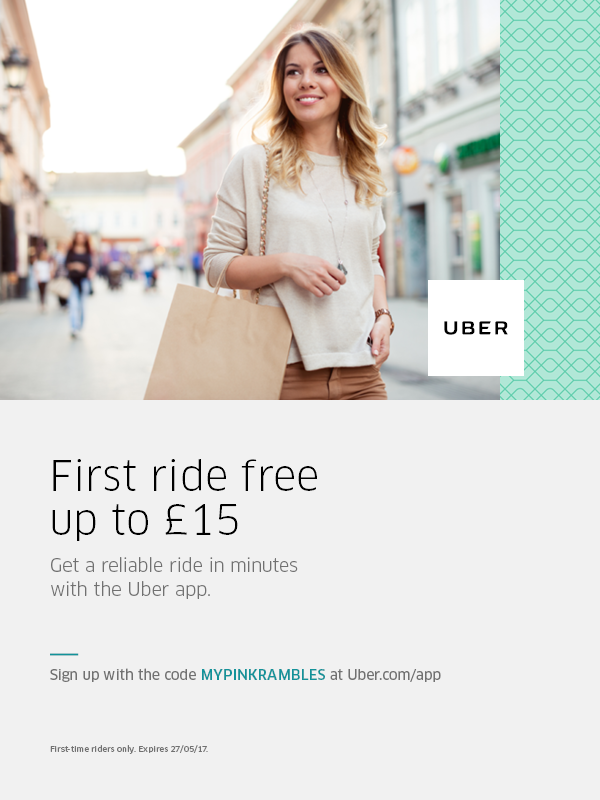 I have some coupon codes from her store for you guys. The pearl paperclip I made by myself. The glitter flower paperclip I made myself. You can read the DIY post here. Do subscribe to my blog if you like what I have to say (it does help me out and thanks if you do). Connect with me on Pinterest / Twitter/ Instagram.Maybe even give my Facebook page some TLC? Don’t forget to ‘pin’ this post 🙂 Remember the comments section is all yours.